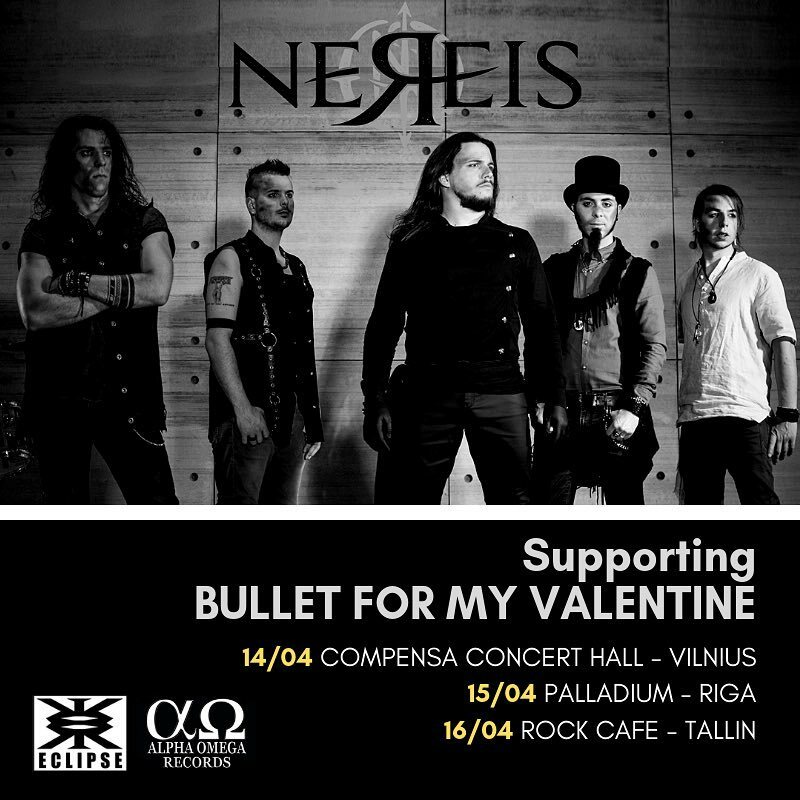 Italy’s hard-rocking alternative metal band NEREIS will be supporting Bullet For My Valentine on this weekend's Baltic tour dates. Nereis recently revealed a new music video for the song “Now”. The video was directed by Maurizio Del Piccolo, and filmed on location at Adrenaline Stadium (Moscow), and A2 Green (St. Petersburg) while the band was on tour with Three Days Grace in the Russian Federation during November, 2018. Watch the video right now at this location. “Now” is taken from the band’s latest album Turning Point which was released on June 8, 2018 via Eclipse Records. The album received critical acclaim from dozens of media outlets and radio stations all over the world. To date, the band have released four music videos supporting the album, for the songs "Now", “Breaking Bad”, “Overdrive”, and “Two Wolves” which have surpassed a combined 40,000 views on YouTube.